Governments and organizations in the public sector partner with LepideAuditor to protect sensitive public data and meet compliance. Some of the most significant and most well-publicized security breaches in recent years have involved public sector organizations – including government agencies, emergency services, civil services and more. Since public sector organizations handle vast amounts of sensitive data, safeguarding that data against internal and external threats can be difficult. LepideAuditor helps the public sector address these problems and makes it easy to pass regulatory compliances audits. Our solution gives you visibility into anomalous network activity and user behaviour. 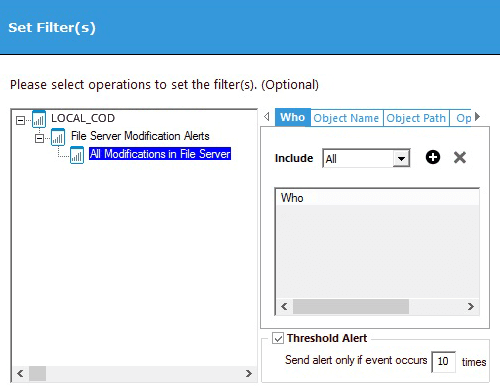 It helps you understand the overall threat landscape in the public sector and monitor changes in the configuration of multiple server components simultaneously. Government organizations and other public sector organizations frequently interact with a lot of third party individuals. There also may be significant involvement of temporary staff members in diverse projects. As a result, accounts with modified group memberships and permissions can very quickly fall into disarray, increasing the risk of unauthorized data access or manipulation. Without proper monitoring, accountability and control over these accounts, you open yourself up to the possibility of data breaches, privilege abuse or account misuse. LepideAuditor simplifies the task of verifying user permissions, increasing security and meeting compliance challenges. 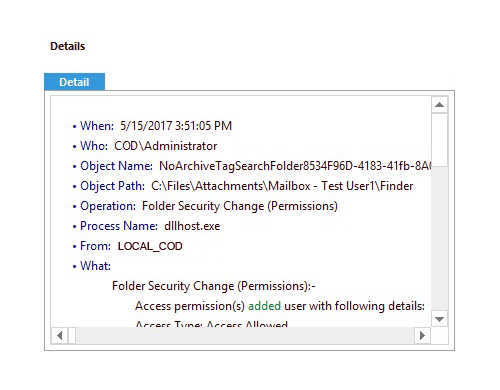 Our solution makes it far easier for IT administrators by showing who has access to what and detecting when access permissions are changed. Government service providers have an obligation to ensure that the PII (Personally Identifiable Information) of their citizens stays protected. Suspicious user activities in relation to PII need immediate attention, as they can be indicators of security breaches. 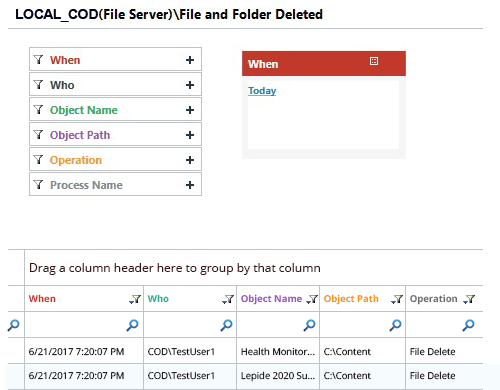 LepideAuditor helps government organizations track what’s happening to data in their File Servers through predefined audit reports. Any organization in the public sector that stores sensitive information, needs to ensure that they are defending themselves against ransomware attacks. LepideAuditor provides in-depth audit reports and real-time alerts with threshold limits. It also lets you execute customized scripts upon detecting suspicious changes to take automated response; such as initiating a scan through antivirus, enabling a firewall, disabling a user account or shutting down the computer. Some common compliance regulations applicable to the public sector include GLBA, SOX, PCI, GDPR, FISMA and HIPAA. To help you address these requirements, LepideAuditor contains predefined compliance reports that can be generated in a matter of clicks. These reports include tracking logon and logoff activity, changes to privileged security groups, successful file reads, audit policy modifications and more. With Lepide, government sector organizations can ensure data protection and data integrity without fail. The majority of public sector organizations make use of multiple platforms to store sensitive data, including Windows File Systems, NetApp Filers, Office 365 and Dropbox to name a few. LepideAuditor audits changes made across your entire IT environment and gives you complete visibility on all audited components with flexible reporting options. A significant challenge for many public sector organizations is preventing permission sprawl. Knowing who has what access to data stored in critical (shared) files and folders, is essential. 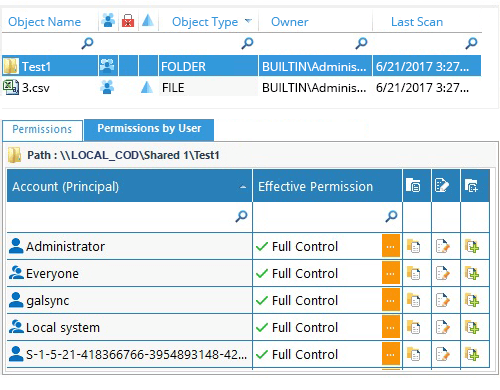 Dealing with permission inheritance and being proactive when tracking changes to permissions are crucial in maintaining appropriate access. LepideAuditor alerts and reports on permission changes. 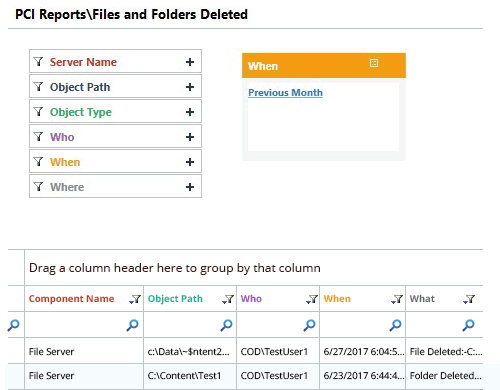 It also enables IT teams to select a file or folder and determine who has which permissions, when they were assigned and how they were granted. It lets you reverse Active Directory permission changes to help you maintain the policy of least privilege. If multiple accounts are being locked out over a short space of time, red flags should be raised. It could be a sign that an attacker, with a list of your Active Directory usernames, is trying to get access to your computers, data and the rest of your IT infrastructure. 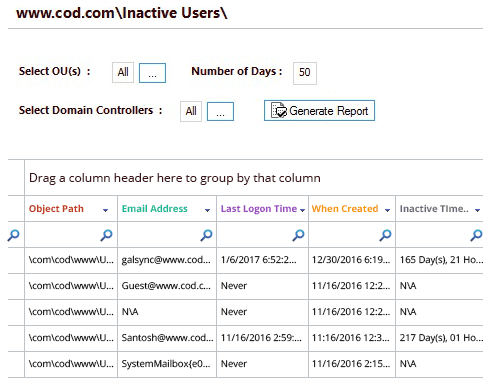 LepideAuditor delivers real-time and threshold alerts whenever one or multiple user accounts are locked out. 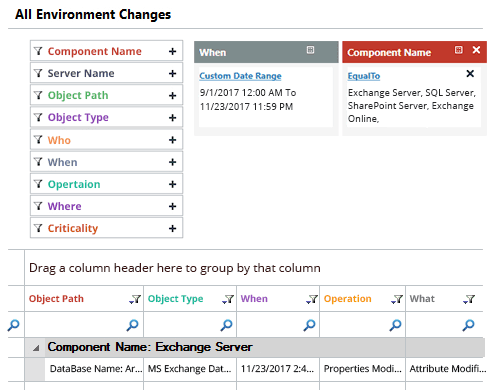 You can use LepideAuditor to identify the trend of changes made in the status of Active Directory users. You can even use our solution to unlock the accounts, reset their passwords and check what tasks will be impacted due to the lockout. Stale or dormant user and computer accounts are common threat vectors to public sector organizations. Keeping your Active Directory clean of such accounts is a principal part of the security of your IT infrastructure. 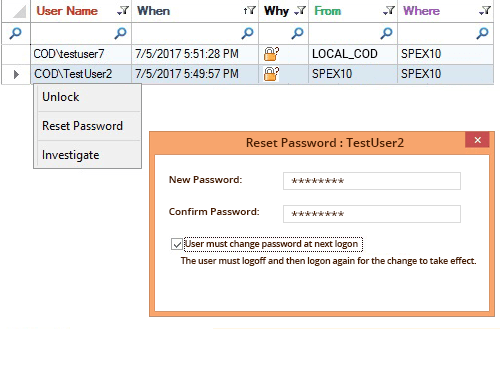 With LepideAuditor, IT teams can identify inactive user and computer accounts and automate actions; such as disabling the account, resetting the password, moving the account to a different Organizational Unit or deleting the account permanently.